That kind of camp is OK for me too! I dont't camp either but I love the bag you picked. Uh uh, no daddy long leg's for me either!! Hate em. 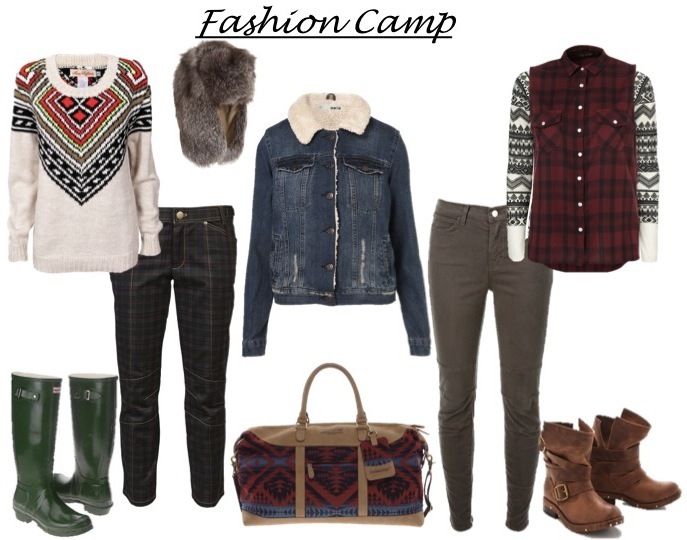 Love the fashion camp post, I'm actually wearing a plaid flannel button up and, a fur trimmed puffer vest- yay for chic fall fashion wear! Have you entered my Vanessa Eves giveaway yet? Loving the richness of the colors you chose! Cool style. I's wear these, and I don't camp either. I love to camp... and you are right this is exactly the kind of stuff I pack! I call it "Glamping" and my family laughs at me, but I look adorable in all the pics, while they look like hot messes! Fabulous collection darling, glad to find your blog, I'm following on bloglovin' now!! I see your blog and i like it! I hace new post in my blog! That's hilarious. I don't disagree with you but a bit of camping isn't so bad... I've never thought to plan my outfit so carefully but that might make it better! I love the theme of your collage, and the denim jacket is my top pick. 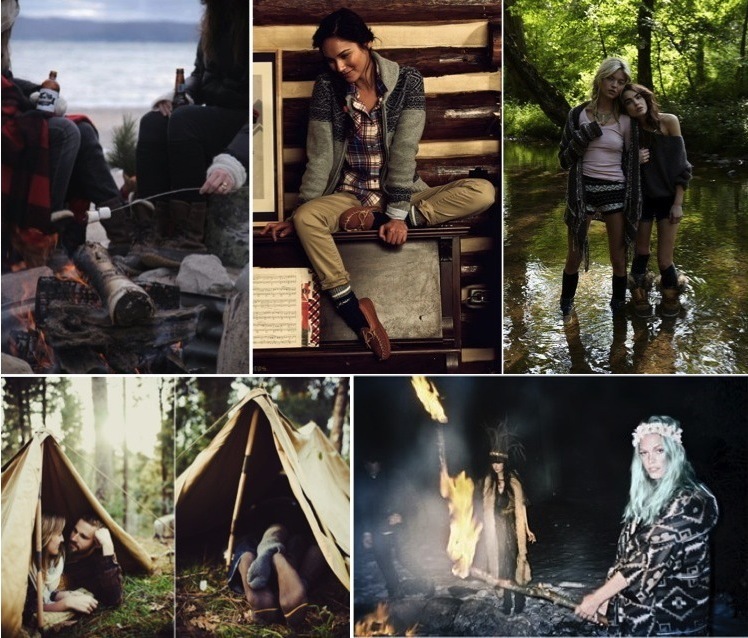 I actually don't love camping, but I'd easily wear your choices if I were to roast marshmallows or pitch a tent! Love this! I'd take every single item! Really makes me crave some s'mores!! Love love love..this post reminds me of selecting a Xmas tree at a nursery which had an open fire and free marsh mellows for the tikes! Warm woolen plaids were de rigor and what lasting memories. These outfits are perfect for these cooler days and autumn nights. MMMM s'mores!!! I used to camp but not anymore! I am now following you... please follow back if you like my blog! Absolutely love that sweater! I do NOT camp either, hahaha but I love these pieces!